(MENAFN - Kuwait News Agency (KUNA)) VIENNA, Jan 17 (KUNA) -- Kuwaiti Ambassador to Romania Talal Al-Hajri discussed on Thursday with Romanian Minister of Business Environment, Trade and Entrepreneurship Stefan Radu issues related to the forthcoming meeting of the joint ministerial commission for economic cooperation. In particular, the two sides discussed prospected date for the commission second session, due to be hosted by Kuwait this year, under chairmanship of Minister of Finance Dr. Nayef Al-Hajraf, ambassador Al-Hajri said in remarks to KUNA. Public Investment Authority Managing Director Farouk Bastaki is scheduled to visit Romania, during the course of the year, in response to an invitation by the Romanian minister of trade. 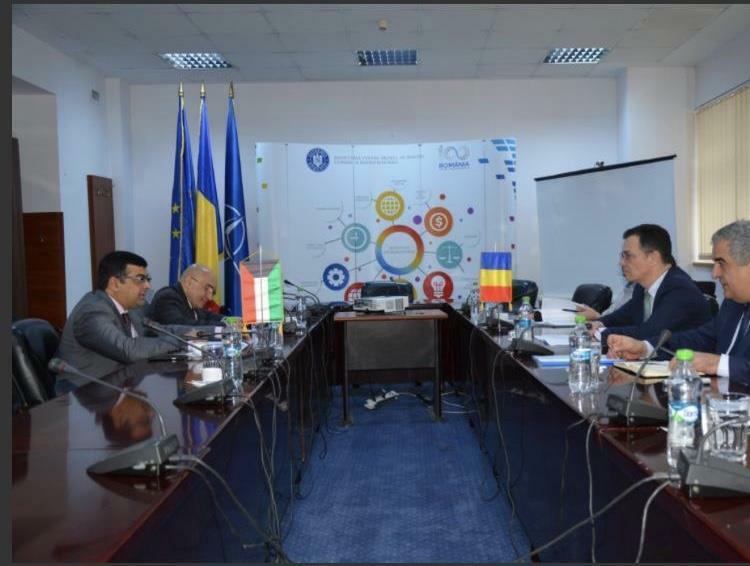 Ambassador Al-Hajri added that his talks with Minister Radu dealt with outcome of the Kuwaiti-Romanian economic forum, held in Kuwait in November. He was assured by the Romanian side on keenness to cement the relations with Kuwait in various sectors, particularly in the field of trade exchanges.